The Wine Advocate - Another spectacular effort from LEvangile, the 2010 is a close rival to the 2009 and should be fascinating to compare with that vintage over the next 30 or so years. Stunningly rich and black/purple in color, the 2010 LEvangile offers up the tell-tale floral note as well as black raspberry jam intermixed with cassis and kirsch. There are also ethereal floral notes and a hint of background oak. The pH is slightly above average (3.7 versus the pH of 4.0 that the 2009 and 2000 possessed). This is a massive, rich, very impressive LEvangile, and readers should take note of the + in my rating, which could certainly push this wine way up there. Remarkably, I was shocked when I learned that this wine was aged in 100% new oak, as the oak is a background element in this blockbuster lEvangile. Forget it for 3-5 years, and drink it over the following 30-40. Jancis - Very dark crimson indeed. Very very sweet. 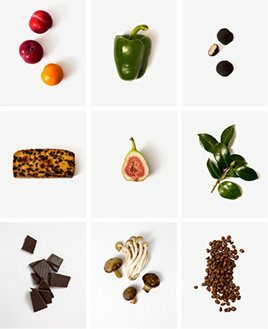 Sweet and rich and full and extremely lush and flattering. Very smart and long and rich. Purity was the aim. Sweet start but lots of tannin and firmness. A wine I would really relax with. Long and relaxing and a bit like a massage. Their reconstruction aimed to increase the Cabernet Franc. Dry finish but so calming and charming. They have introduced some organic methods in the vineyard and replaced old vines. Wine Spectator - Gorgeous raspberry ganache, fig and boysenberry fruit is liberally laced with fruitcake and graphite. Superracy, with linzer torte and red licorice taking over the finish. Very long, with lots going on here already. Tasted non-blind. Parker - Another spectacular effort from L’Evangile, the 2010 is a close rival to the 2009 and should be fascinating to compare with that vintage over the next 30 or so years. Stunningly rich and black/purple in color, the 2010 L’Evangile offers up the tell-tale floral note as well as black raspberry jam intermixed with cassis and kirsch. There are also ethereal floral notes and a hint of background oak. The pH is slightly above average (3.7 versus the pH of 4.0 that the 2009 and 2000 possessed). This is a massive, rich, very impressive L’Evangile, and readers should take note of the “+” in my rating, which could certainly push this wine way up there. Remarkably, I was shocked when I learned that this wine was aged in 100% new oak, as the oak is a background element in this blockbuster l’Evangile. Forget it for 3-5 years, and drink it over the following 30-40. With an alcohol level hitting the scales at 14.8%, the 2,000 cases of 2010 L’Evangile come from a blend of 88% Merlot and 12% Cabernet Franc, which I assume is much less Cabernet Franc than what was used under the old administration of the Ducasse family versus what is being done now by Eric de Rothschild and his team. 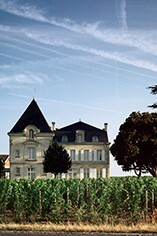 The new administrators have added some vineyard parcels from neighboring sites, particularly Le Croix de Gay, and they have also replanted part of this vineyard, which sits on the St.-Emilion border next to La Conseillante and facing Cheval Blanc and La Dominique. 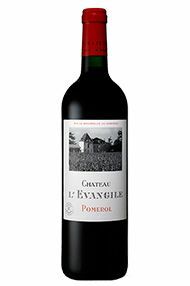 (98+ Robert Parker- Wine Advocate- Feb 2013) As I have been predicting, the Rothschilds are pushing l’Evangile to the highest level of the Pomerol hierarchy. Composed of 88.8% Merlot and 11.2% Cabernet Franc, the 2010 achieved 14.7% alcohol naturally, making it one of the few 2010s with lower alcohol than its 2009 counterpart (the 2009 had 15% alcohol and the 2008 had 14.5%). Most of that is due to the superb ripeness and the high concentration of Merlot in 2010. The berries were extremely tiny and the drought and cool nights in August and September gave the 2010 a lower pH and higher acidity than the 2009. For example, the 2010's pH is 3.7, the 2009's is higher and in 2000 it was 4.0. The dense purple-colored 2010 exhibits massive levels of black raspberries, Asian plum sauce, truffles and cassis. The wine is unctuously textured and remarkably fresh with a weighty richness (much like the 2009) but greater delineation. A marvelous effort, it, along with the 2009, may turn out to be one of the two greatest wines made by l’Evangile. The 2010 should drink well young yet last for three decades or more. Decanter - Dense and opulent, as is the style of Chateau l'Evangile, but very refined. Full-bodied, succulent with a rich concentration of fruit. Powerful but with more apparent freshness than the excellent '09. Beautifully textured - tannins velvety and smooth. Long, clean finish. Château L'Evangile is one of the prestigious estates in Pomerol and produces some of the most sought-after wines in the appellation. It is located in the far east of the Pomerol appellation and its vineyards border those of Château La Conseillante, Château Gazin and Château Cheval Blanc. Its 14.1 hectares of vineyards (Merlot 78%; Cabernet Franc 22%) lie on deep gravel beds pitted with sand and clay. The wine is vinified traditionally, undergoing a lengthy cuvaison followed by maturation in oak barriques (40% new) for 16-20 months. L`Evangile has always been a top-class estate but quality has been pushed noticeably higher since Domaines Baron de Rothschild of Château Lafite acquired a majority shareholding in 1990. With Michel Rolland as consultant winemaker, the wines of L'Evangile are now challenging Pétrus and Lafleur in terms of their sheer class and quality.